Stroke is a leading cause of long-term disability in the country, and the fourth most common cause of death. While mortality rates from stroke have declined substantially due to better prevention strategies and improvements in acute treatments, increased survivorship has resulted in a surge of stroke survivors in our communities who experience long-term deficits that affect mobility, language, attention, memory, sensation, emotional and psychosocial well-being, leading to a decline in independent function and quality of life. Stroke survivors often become more sedentary, further impacting their daily function and increasing risk for falls. The National Institutes of Health have prioritized stroke prevention, treatment and recovery as important research areas; however, there is less attention and research focused on treating chronic stroke to improve the quality of life of stroke survivors. As stroke survival rates continue to rise, the Stroke Rehabilitation Center for Southeast Wisconsin (SRC) is one of the few centers in the country focused on developing state-of-the-art interdisciplinary stroke rehabilitation cutting-edge research and clinical programs to improve stroke survivors’ long-term functional outcomes across the continuum of care. 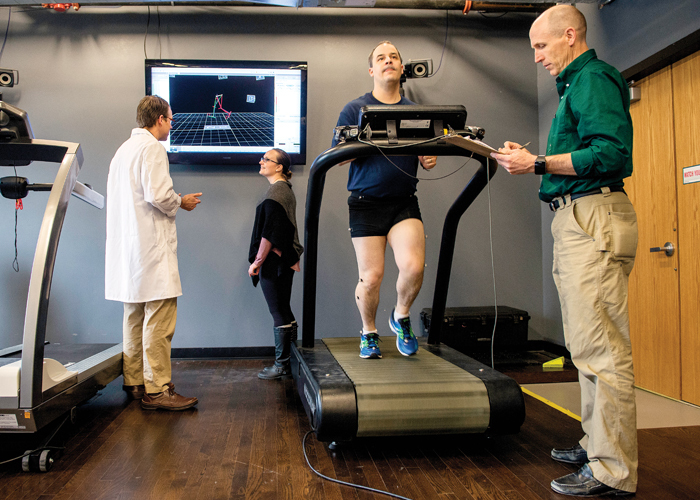 The Marquette University and Medical College of Wisconsin Stroke Rehabilitation Center of Southeastern Wisconsin (SRC) is dedicated to improving stroke survivors’ functional recovery, independence and quality of life through rehabilitation research. This partnership advances stroke rehabilitation research by bringing together the innovative medical research and clinical practice of the Medical College of Wisconsin (MCW), renowned biomedical engineering research and education of Marquette University, and stroke survivors, caregivers, and community members to advance patient-centered stroke research and treatments throughout Southeastern Wisconsin. Enhancing and streamlining assessment of stroke survivors’ progress to develop more effective rehabilitation strategies. Developing neuroimaging tools to improve prediction of recovery. Creating new, intensive rehabilitation interventions to improve function of stroke survivors in the first three months after stroke. Initial funding for the SRC has been provided by the Advancing a Healthier Wisconsin Endowment, which serves as a catalyst for positive change in the health of Wisconsin communities and is stewarded by The Medical College of Wisconsin.